Whistler maps are easy to find, but Whistler lodging maps aren’t. LodgingWhistler.com is pleased to partner with WhistlerMaps.com to offer lodging maps of Whistler Blackcomb Resort. 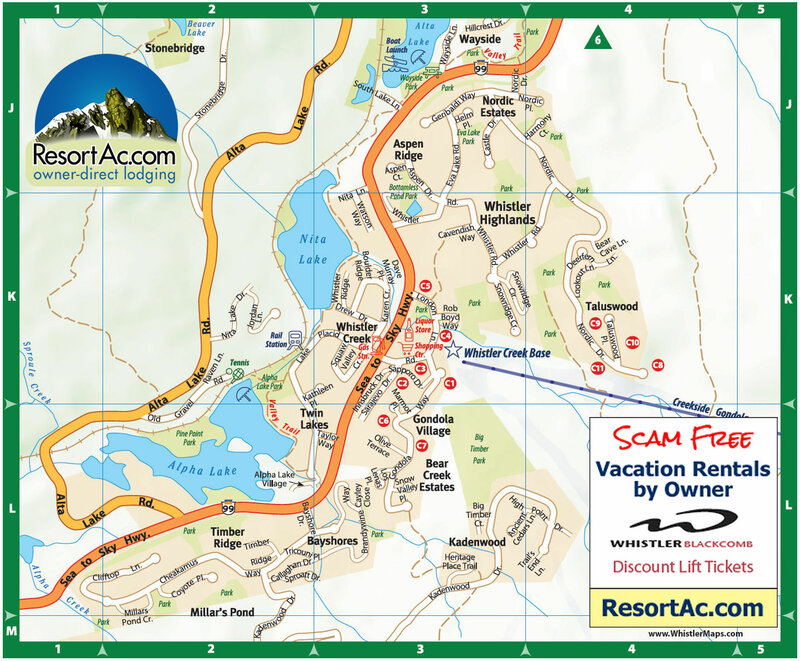 We offer detailed Whistler maps showing lodging locations in the Whistler Resort area. Location, location, location… You’ve heard it before, but when you are deciding which Whistler lodging to rent for your vacation, you need to know the exact location. Ideally, before you make your lodging reservations. Get your bearings before you arrive for your Whistler vacation.